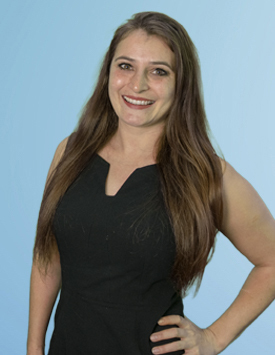 For almost five years, Liliana Lander has helped her clients complete and renew their System for Award Management (SAM) Registrations, put in place methods of learning about and bidding on available contracts, and even reaching out to procurement officers before and after a bid is posted and awarded. “Persistence is key, as is developing a strategy and sticking to it,” she says, adding that it’s an ongoing education process between her and her clients. “We make available a service and resource that they can tap into each step of the way. We’re here to answer questions, update them on industry changes, coach them on putting together winning bid proposals, and even helping them promote their business and contracting successes.” To illustrate her point, she mentions Ken Frost dba Uniform Connection and Trophy Shop, which won its first contract recently after working with Liliana. She likes to tell her clients that the best way to succeed as a government contractor is to never stop trying — which means constantly checking FBO.gov, networking with procurement officers, and even debriefing with them when they don’t win a contract. The government sets the bar high, she says, so she sets the bar high for herself and makes sure each day that she hurdles it — which is why when you reach her, you’re getting someone happy to help USFCR set itself apart from other companies.